It is that time of year to trim back the ornamental grasses for our clients who do not like the untidiness. The winter winds started to break and blow the grasses into all the other shrubs, swimming pool cover and fencing areas making it difficult to clean up the grass foliage. Caution and heavy gloves have to be used when handling the ornamental grasses, as they are as sharp as a knife. Tom can tell you first hand (no pun intended) how deep the grasses can cut into your fingers, sometimes resulting in the need for sutures. Of course, if you know Tom, he wrapped a cloth around the cut and finished the project before going to get his fingers stitched. 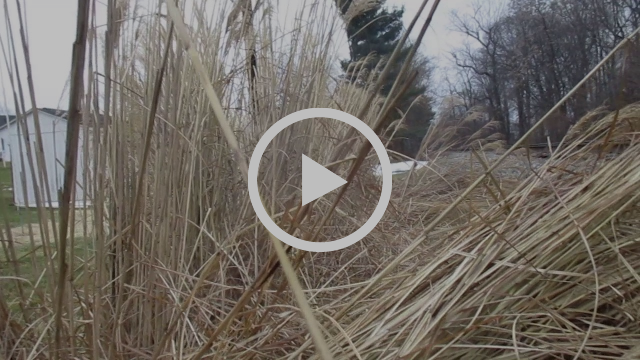 Take a few minutes and watch Tom talk with you about ornamental grasses and removal safety. Contact Local Landscaper Tom Grosh of Grosh’s Lawn Service today to get started with your lawn & landscape project! 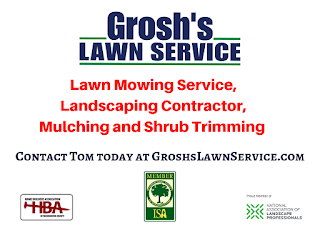 Tom and the team at Grosh’s Lawn Service love the outdoors and looks forward to working with you & nature to make our planet earth a wonderful place to live and work!